L’Aqua sapphire pendant is liquid luxury. 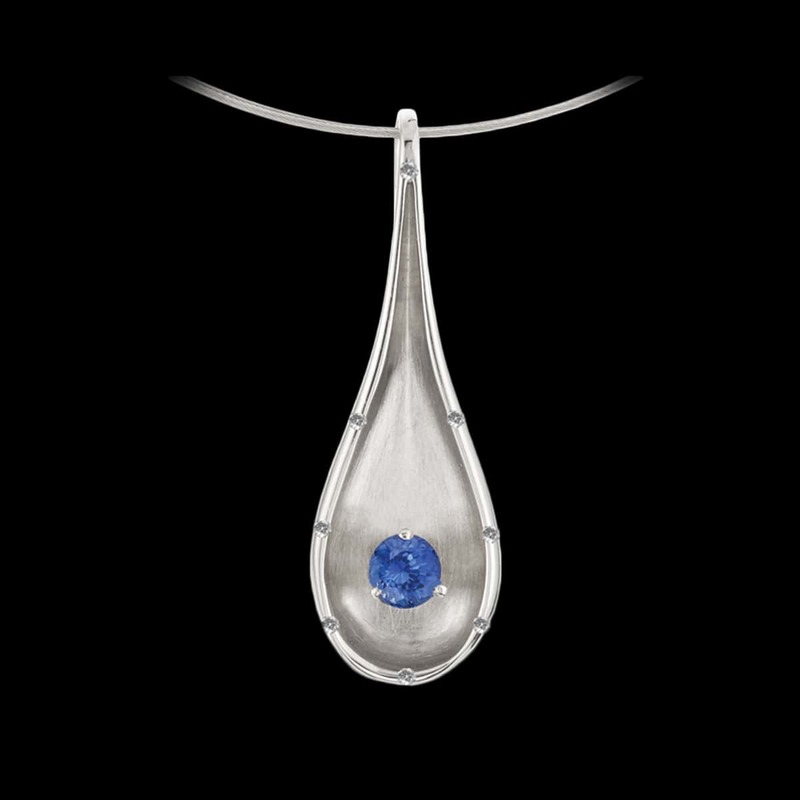 This unique droplet shaped pendant in white gold showcases a gorgeous blue sapphire, surrounded by white diamonds set in white gold. To purchase, call (949) 715-0953 or use our contact form below.